900 Park Boulevard, also known as the Tweedsmuir Mansions, was designed and built in 1936 by architect William Jacobus Semeyn for Colin Forrest and Florence Forrest. It is considered one of Victoria’s best examples of Art Deco and Steamline Moderne architecture. It is listed on the City of Victoria Heritage Building Registry and was listed on the Canadian Register of Historic Places in 1995. 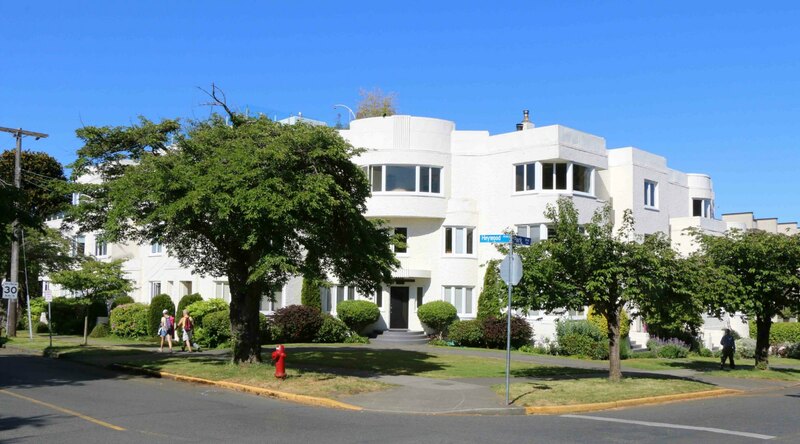 900 Park Boulevard, Tweedsmuir Mansions, built in 1936, is one of Victoria’s best examples of Art Deco architecture. 900 Park Boulvard was converted in condominiums in 1995. It is currently divided into 12 residential strata condominium units. 900 Park Boulevard was designed and built in 1936 by architect William Jacobus Semeyn for Colin Forrest and Florence Forrest. It was built by contractors McCulloch & Harvey at an estimated construction cost of $23,000. 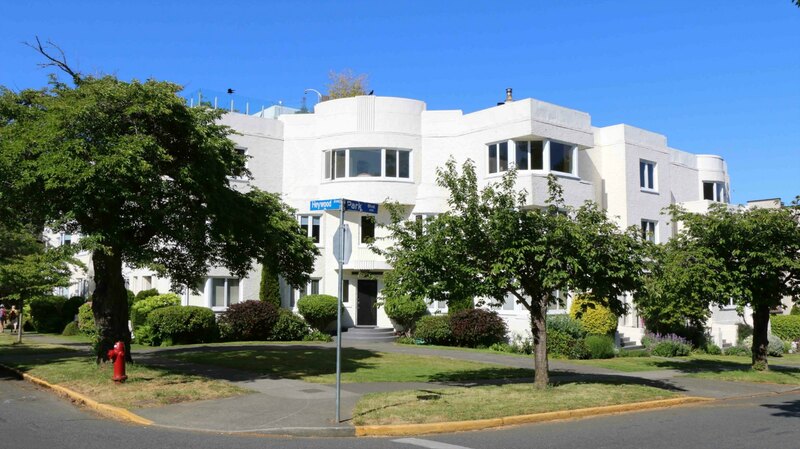 It is considered one of Victoria’s best examples of Art Deco and Streamline Moderne architecture. It is listed on the City of Victoria Heritage Building Registry and was listed on the Canadian Register of Historic Places in 1995. 900 Park Boulevard has always been a residential building. It was rental apartments from 1936 until 1995, when it was converted to residential strata condominiums. A third storey addition on the west side (on Heywood Avenue) was completed after the 1995 strata conversion. Because of the architectural significance of this building, plans for alterations are always subject to scrutiny. In 1988, the City of Victoria Council unanimously rejected a proposal from a new owner for an addition with eight new apartments.